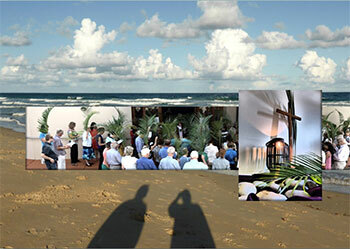 In 2016 the Week of Prayer for Christian Unity in Australia will be observed from 8-15 May 2016 in the week between Ascension and Pentecost. Acknowledgement : These resources in Australia are based on the international material for the 2016 Week of Prayer for Christian Unity. A group of churches in Latvia were invited to prepare the resources and these were then agreed to by the World Council of Churches and the Pontifical Council for Christian Unity. The resources have been adapted for use in Australia by the Faith and Unity Commission of the National Council of Churches in Australia. Donation: If you have found these resources useful, any donations to help cover the cost of producing the resources will be gratefully received by NCCA Faith and Unity. Locked Bag Q199, Queen Victoria Building NSW 1230. Many thanks.